Did you know we offer guided walking tours? 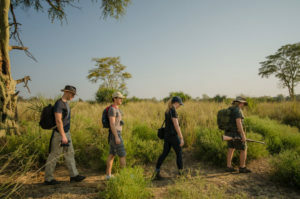 On the tour, visitors can look forward to learning more about the local geology, approaching the mild-natured zebra, and seeing impressive antelope species like the nyala, wildebeest, red duiker, grey duiker and impala. Being part of their habitat in such a real, tangible way is humbling and exhilarating, promising an entirely different perspective of the African abundance. Contact us at office@emdonenilodge.com for more information. 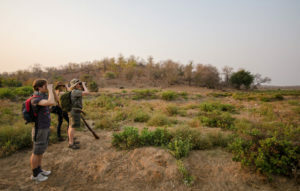 There’s nothing like your first encounter with a dangerous wild animal on foot: the excitement, fear and thrill of this primal experience is much more memorable than a hundred game drives where you’ve ticked off the big five. Escaping the confines of your 4×4 and exploring the bush on foot opens a whole new world of the wild. Being on foot changes how you view animals. You may have previously dismissed impalas as boring when you see herds of them on game drives, but when you encounter them on a walking safari, you can’t help but marvel at their beauty, speed and grace. You realise how much work it is just to stay alive in the bush, and you can feel how vulnerable prey animals are: at any given moment they could be eaten, which endows you with a new sense of respect. You don’t see as much big game on foot as you do on game drives, but you do get the chance to be immersed in a fascinating world of plants, seeds, insects, reptiles and small animals: all the things you don’t see on drives. 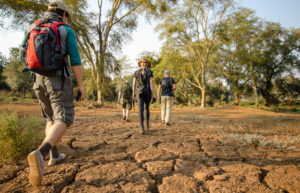 You also become much more sensorially aware when you’re walking as opposed to driving: you’re constantly alert to the sounds of alarm calls and the smells of the bush, which means that you take in a lot more detail than you would in the car. 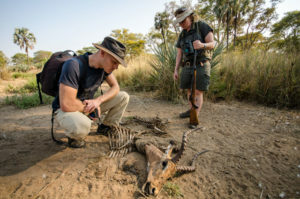 On some walking safaris, you’ll have a tracker along with your guide, who will teach you some of the basics of this master skill. 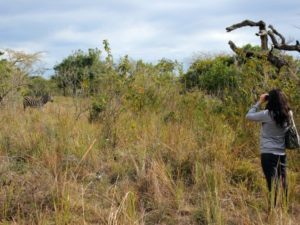 Learn to read tracks in the sand to follow animals through the bush, how to identify the smell of rhino wee or work out when ablution time was by poking through middens. 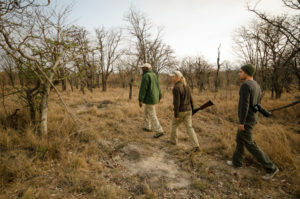 Tracking is interesting and fun, and adds another dimension to your wildlife experience. 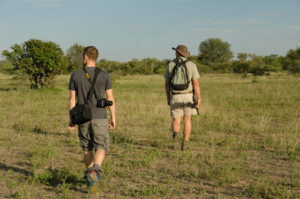 You can’t take cell phone calls or answer emails on your smartphone while on a walking safari. If you’re a technology addict, then this is the holiday for you: you’re forced to unplug, switch off and be totally connected to nature.